It amazes me how God can take something so small and turn it into something amazing and beyond anything I could ever hope or imagine. About a year ago, I was assisting Melissa Taylor with email correspondence. During this time, I was noticing a number of prayer requests on the blog comments as well as via email. So, one day I asked Melissa if anyone ever followed up with these ladies and if not would she mind if I took that on. I had such a heart for these ladies that were hurting and I wanted to reach out to them in the only way I knew how. Melissa gave me the go ahead, so I dove in. At that time, I simply went through the blog comments and made note of any prayer requests. I took those requests and prayed over them and then followed up about a week later through an email. To see how things were going and if there was any additional way I could pray for them. I really didn’t know what to expect from sending out these emails. The responses from these ladies were simply amazing. It was overwhelming to see how touched they were that someone cared enough to follow up with them. I had no idea that something so small could make such a huge impact on someone’s life. As the online Bible studies continued to grow, I knew that I was going to need help. Therefore, I had three wonderful ladies decide to assist me during the Stressed-Less Living study. They were able to help me go through all the comments on the blog and make note of the requests. This was such a tremendous help. When preparing for the What Happens When Women Say Yes to God study, I knew that I was going to need additional team members. With my limited vision, I was thinking that doubling the team to six would be wonderful. Well, God had much bigger plans in mind. I am now director of the Real Hope Prayer Warrior Team that consists of 18 ladies with a heart for prayer. I never imagined that God would take that small nudge I had for these hurting women who were leaving prayer requests, that simply yes, and turn it in to what it is now. I truly believe that at this point in my life, this is exactly where God wants me and I am so honored to serve in such a way. To reach out to these ladies, a lot of who do not have another outlet. I love that the Proverbs 31 Online Bible Studies provides that safe environment for women around the world. Not just an environment, but also a community. Connection. The ability to be seen. To be heard. To be prayed for and let the love of God shine through the leaders to the world. I am truly amazed at how God is working in and through this study. He will take our small yes’s, our little notes, our encouraging words, those little steps of faith and turn them into something amazing. But dear friend, you have got to say Yes to Him and you have got to give Him those small things, and trust in His leading and God will turn them into something beyond anything you could ever imagine. Love what has become of this. Such a testimony to how God works. Thanks for listening! 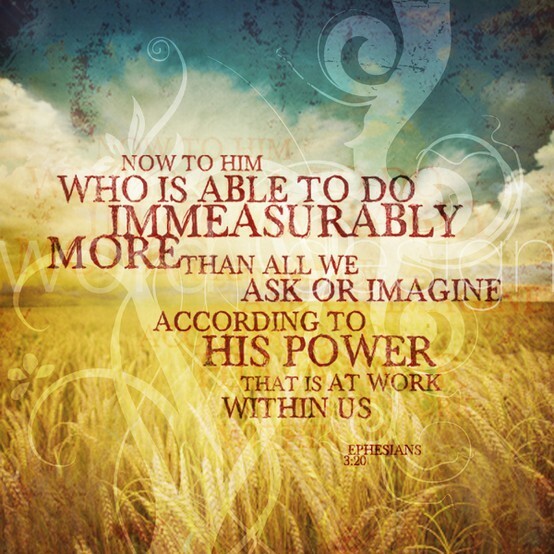 Thank you for saying yes–and for interceding for us! I thank God that you said yes to him. I know how it felt to open an email from you to say that you had prayed for me. At first surprised, then deeply touched that God used you this way. I have been praying for you as you do this ministry. Thanks! Jamy, thank you for your prayers…your responses truly make a difference! Sometimes, when we are out in our world of work or busyness, we hold ourselves together and with God’s hand holding ours joy through the day! It helps to share our joys and struggles with all of you at Proverbs31 Ministries. It is often God’s answer to our prayers! God bless! Jamy, I am blessed to see your powerful passion for prayer. Thank you for sharing how the Lord has developed your prayer ministry with OBS. Jamy, it is a blessing to see your powerful passion for prayer. Thank you for being obedient to the Lord in your prayer ministry. Jamy, your heart is amazing, and you are a beautiful picture of what a godly woman looks like. I am honored and blessed to be a part of your team. Thank you!! Thank you Jamy for saying yes! I can’t tell you how much it meant to me to open your email today and know that you are praying for me. What you are doing REALLY MATTERS! Jamy, thank you for saying yes! You and this ministry literally saved my life! I was in a really dark place and thought no one cared. I remember when I received my first email from you. I was shocked and overwhelmed with joy! I couldn’t believe my prayers, all the ladies’ prayers were being read. I needed that at the very moment you sent the email. When I get down, it’s helpful to know there’s a network of women who really care, and not just say I’m here and not mean it. As being one of the ones that you personally contacted, I just wanted to tell you again how much it meant to me. Thank you!! Thank you for saying yes! What a wonderful testimony of God’s desire to love people through us when we are willing. You bless me and so many!! I am one of those woman who was touched that you cared enough to respond. Thank you. What a blessing. Jamy ~ I have been the recipient of some of your emails. I haven’t always responded but just knowing that someone took notice of my request is so comforting. Thank you for what you are doing. It touches lives. I believe I am one of the ladies you first started praying for and following up with. I was so suprized to get your email asking how I was and if there was anything else that I needed prayer for. It was and has been a blessing to hear from you Jamy! Thanks go out to you and the team at Proverbs 31! Jamy, you are blessed and wonderful. I’m so thankful that you are doing such terrific stuff for the Kingdom. Jamy, I want to thank you for your prayers about my son beginning college. There were a few glitches we had to work through but he is now in college. This is really exciting in light of the fact we were told years ago he would come to a plateau of learning in High School. Well, with God’s help, he soared through High School and made a 100 % on his first English test in college. Because he did so well in High School our tuition out-of-pocket costs for his first college semester was $75. God is Good!! Jamy, when I first posted a prayer request a few months ago, I was so surprised to get your email about a week later. I remember reading it and tears came to my eyes. It put a real human perspective on the issue to know that someone took the time to pray on my situation. May God continue to bless you. Jamy, I just replied to your first email to me. What a blessing to know a stranger cares enough to pray for me and send me an email checking on me. WOW. I am moved by your love and passion for caring for others. Thank you! May God richly bless you! Thank you Jamie and all 18 ladies. Your willingness to intercede on our behalf is precious to me. No greater work canI think of than prayer for anothere. I hope you read the prayer I offered for all of you ladies on the blog as God burdened me for each of you. I cannot begin to tell of all the different things that has happened, insights gained, forgiveness granted, and surrender that has gone on in me the last few weeks.